Santa and Mrs. Claus enjoy the sights and sounds of Cowboy Christmas Saturday at Boys & Girls Club of Craig. 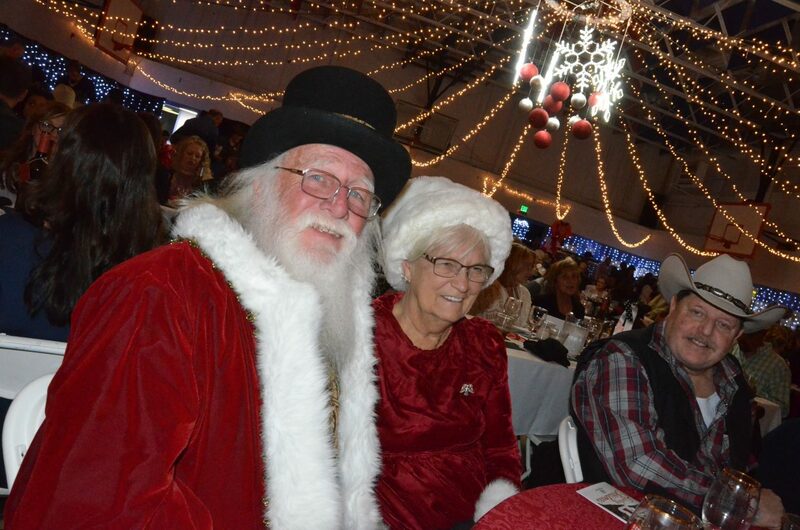 Santa — otherwise known as George Kidder — was awarded Volunteer of the Year for his work within the community. He also announced this will be the final Christmas for the couple in Craig as they prepare to move to Florida. 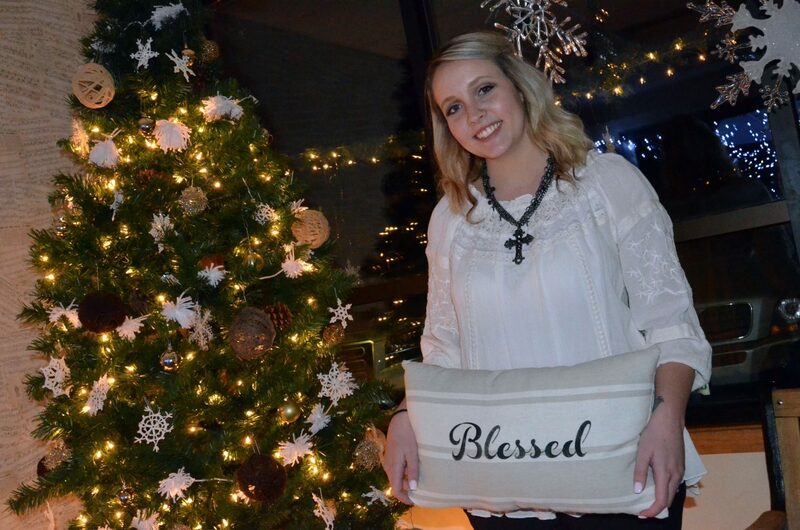 Boys & Girls Club staff member Brooklyn Hickey felt blessed to receive Youth of the Year during Cowboy Christmas Saturday. Hickey won the award for a speech she wrote about how the organization helped her as a child and later as an employee. 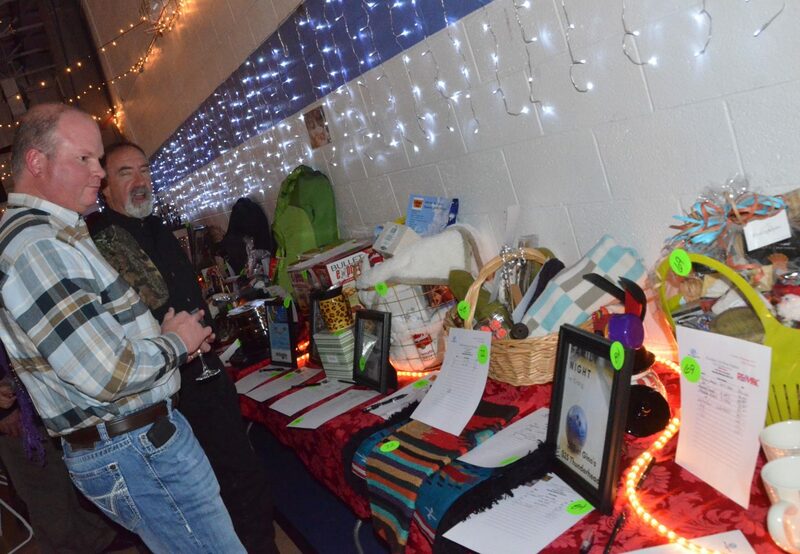 More than 180 silent and live auction items were available as part of Cowboy Christmas at Boys & Girls Club of Craig. 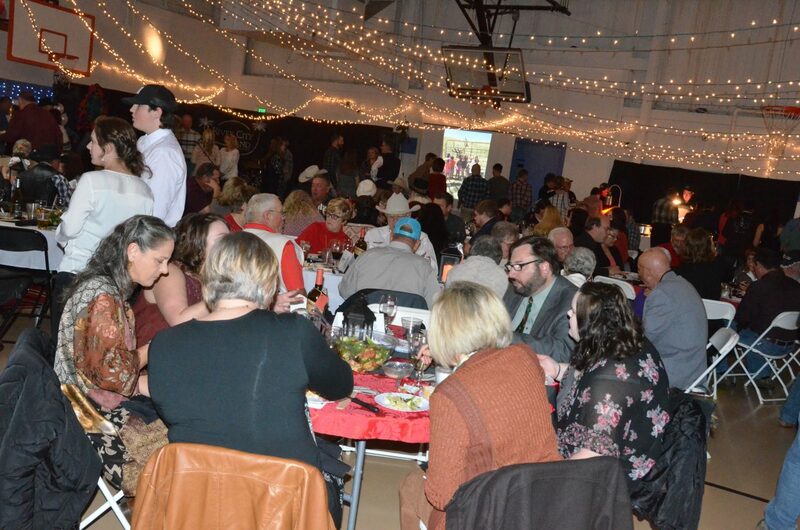 Community members sit down to eat during Saturday's Cowboy Christmas at Boys & Girls Club of Craig. Decorations are hung from the ceiling with care during Saturday's Cowboy Christmas at Boys & Girls Club of Craig. CRAIG — Whether they were seeing it for the first time or returning as a regular visitor, guests at Saturday’s Cowboy Christmas were treated to a tremendous display of seasonal spirit and community pride. 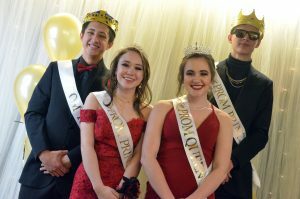 The annual fundraiser for Boys & Girls Club of Craig was holly and jolly and full of folks ready to celebrate, so much so that organizers estimated the crowd — which numbered at about 300 — was the largest they’d ever seen for the holiday event. 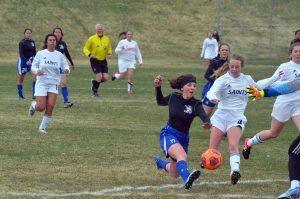 “It brings tears to my eyes to see this kind of community support,” said Dana Duran, executive director for Boys & Girls Clubs of Northwest Colorado. 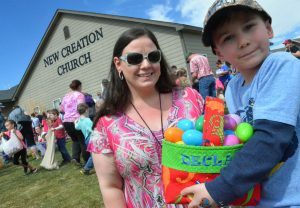 Husband and wife Alisa and Zach Brown — first-time attendees — said they were impressed by the look of the building’s gym. 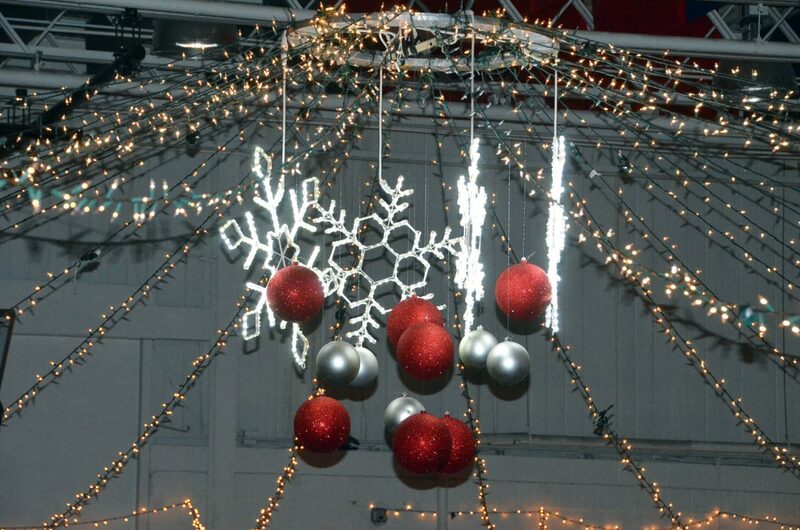 “I love the decorations,” Alisa Brown said of the strings of lights draped from the ceiling, encircling a holiday chandelier of snowflakes and baubles. Dinner, dancing, auctions and gaming were on the docket, as were introductions for some noteworthy people. Earning 2017’s Youth of the Year award for the Craig club was Brooklyn Hickey, who delivered a speech about the impact the organization had on her life as a child and, later, as a staff member. 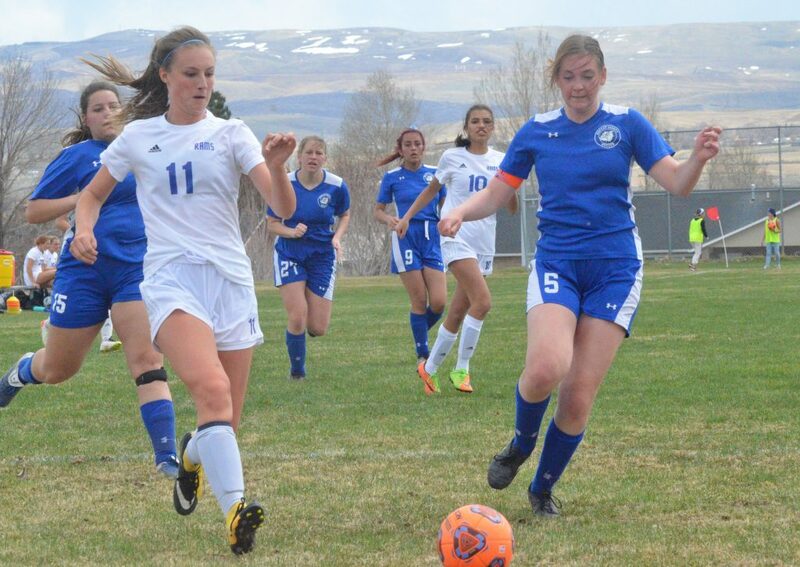 Hickey, a senior at Moffat County High School, as well as a concurrent enrollment student with Colorado Northwestern Community College, aspires to a career as a dental hygienist. She struggled with school as a young child, however, a result of delayed motor and language skills. Socializing and communication were also problematic, but she was became better able to cope with these challenges at age 7, about the time she became a club member. 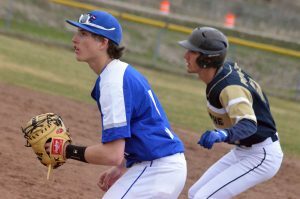 In January, Hickey will compete against Steamboat Springs’ Youth of the Year honoree for the chance to go on to state and, possibly, beyond. Also honored was the Volunteer of the Year, a well-known face during the holidays in Craig. Santa Claus — better known to some residents by his alias, George Kidder — was presented the award this year for tireless efforts alongside Mrs. Claus — also known as Ann — to spread Christmas cheer. As Duran put it, the couple’s talent for spreading “joy, love and light” is one that benefits the entire region. The acknowledgment was a surprise for the recipient and also somewhat bittersweet. Kidder let the audience know that, after 20 years in Craig, he and his wife will be moving to Florida. “We wanted everyone to know this year is kind of our swan song,” he said, noting their plans to spend more time with their family. Even so, Santa and Mrs. Claus will still be very visible throughout this month at events such as the Festival of Trees, Down Home Christmas and more. “It doesn’t take very long for me to fill my calendar,” Kidder said with a laugh. 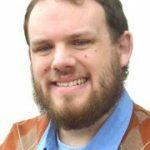 Though he’s confident someone within the town will step up to take on the mantle of Santa, his frequent appearances at holiday parties, elementary schools, nursing homes and more are what he’ll miss most. “It was a hard decision to make, but everybody has really embraced what we do,” he said.